We know that hedge funds generate strong, risk-adjusted returns over the long run, therefore imitating the picks that they are collectively bullish on can be a profitable strategy for retail investors. With billions of dollars in assets, smart money investors have to conduct complex analyses, spend many resources and use tools that are not always available for the general crowd. This doesn’t mean that they don’t have occasional colossal losses; they do (like Peltz’s recent General Electric losses). However, it is still good idea to keep an eye on hedge fund activity. With this in mind, as the current round of 13F filings has just ended, let’s examine the smart money sentiment towards PVH Corp (NYSE:PVH). PVH Corp (NYSE:PVH) investors should pay attention to an increase in hedge fund sentiment in recent months. 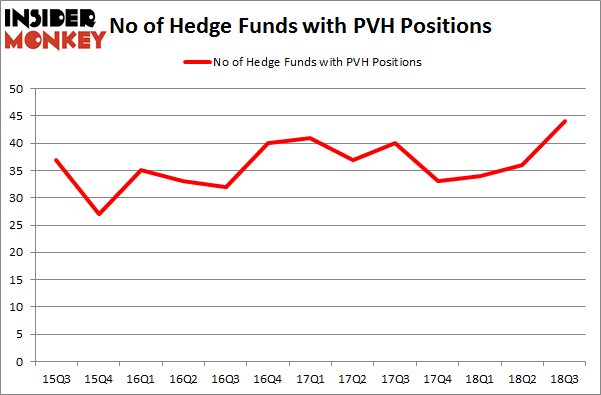 Our calculations also showed that PVH isn’t among the 30 most popular stocks among hedge funds. In the financial world there are a large number of tools investors have at their disposal to grade stocks. A pair of the most under-the-radar tools are hedge fund and insider trading indicators. We have shown that, historically, those who follow the top picks of the best fund managers can outperform the broader indices by a solid amount. Insider Monkey’s flagship best performing hedge funds strategy returned 6.3% year to date (through December 3rd) and outperformed the market even though it draws its stock picks among small-cap stocks. This strategy also outperformed the market by 18 percentage points since its inception (see the details here). That’s why we believe hedge fund sentiment is a useful indicator that investors should pay attention to. We’re going to take a glance at the recent hedge fund action surrounding PVH Corp (NYSE:PVH). At Q3’s end, a total of 44 of the hedge funds tracked by Insider Monkey held long positions in this stock, a change of 22% from one quarter earlier. By comparison, 33 hedge funds held shares or bullish call options in PVH heading into this year. With hedgies’ positions undergoing their usual ebb and flow, there exists a select group of noteworthy hedge fund managers who were upping their stakes significantly (or already accumulated large positions). More specifically, D E Shaw was the largest shareholder of PVH Corp (NYSE:PVH), with a stake worth $188.7 million reported as of the end of September. Trailing D E Shaw was Millennium Management, which amassed a stake valued at $162.4 million. Citadel Investment Group, Point72 Asset Management, and Scopus Asset Management were also very fond of the stock, giving the stock large weights in their portfolios. Consequently, some big names were leading the bulls’ herd. 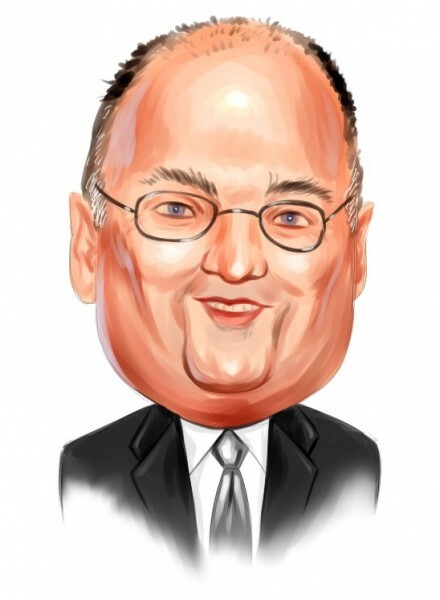 Point72 Asset Management, managed by Steve Cohen, initiated the biggest position in PVH Corp (NYSE:PVH). Point72 Asset Management had $110.7 million invested in the company at the end of the quarter. Brandon Haley’s Holocene Advisors also initiated a $35.8 million position during the quarter. The other funds with new positions in the stock are Lee Ainslie’s Maverick Capital, Sander Gerber’s Hudson Bay Capital Management, and John Tompkins’s Tyvor Capital. Let’s check out hedge fund activity in other stocks – not necessarily in the same industry as PVH Corp (NYSE:PVH) but similarly valued. These stocks are Tractor Supply Company (NASDAQ:TSCO), Vail Resorts, Inc. (NYSE:MTN), Brookfield Infrastructure Partners L.P. (NYSE:BIP), and Burlington Stores Inc (NYSE:BURL). This group of stocks’ market caps are similar to PVH’s market cap. As you can see these stocks had an average of 26.25 hedge funds with bullish positions and the average amount invested in these stocks was $691 million. That figure was $1.29 billion in PVH’s case. Burlington Stores Inc (NYSE:BURL) is the most popular stock in this table. On the other hand Brookfield Infrastructure Partners L.P. (NYSE:BIP) is the least popular one with only 6 bullish hedge fund positions. Compared to these stocks PVH Corp (NYSE:PVH) is more popular among hedge funds. Considering that hedge funds are fond of this stock in relation to its market cap peers, it may be a good idea to analyze it in detail and potentially include it in your portfolio.